Moreton Island is a 37km long sand island located in Moreton Bay, off the coast of south-east Queensland, Australia. The island covers an area of about 17700ha, and extends for 38 km from north to south. At its widest it is 8 km across. 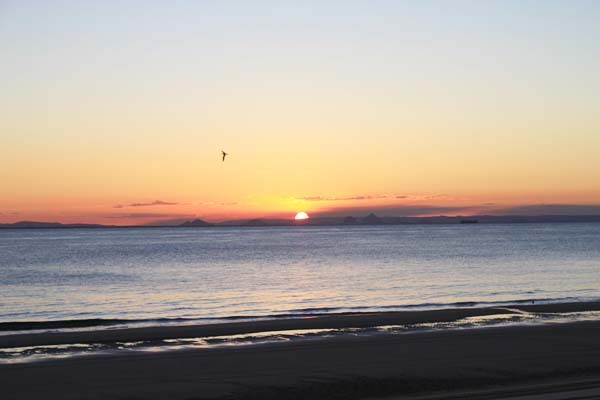 The Island lies only 35kms off Brisbane forming the eastern boundary of the Moreton Bay Marine Park. Moreton Island is 95% National Park. 16900ha of Moreton Island was declared a National Park in 1986 and extended by 100ha in 2000 with the addition of the North Point area. The Cape Moreton Conservation Park 3.36ha was also declared in 2000, protecting its unique vegetation, wildlife, freshwater lakes and streams and its magnificent coastal sand dunes. Moreton Island has a colourful history, with evidence of early aboriginal history, being the site of Queenslands only whaling station from 1952 to 1962, to the Cape Moreton Lighthouse being the first to be built off the Queensland Coast. There are 3 townships on the western side of the island. 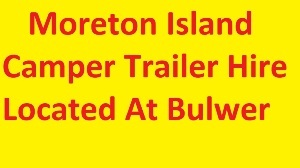 Bulwer, a holiday village geared to deal with the travellers who arrive on the island and require food, bait and supplies. There is a small convenience and liquor store, taxi service, public phone, and a passenger ferry that services the town. Cowan Cowan with its World War 11 relics and Koringal famous for The Gutter Bar and The Toulkerrie Oyster Farm, This township has its own 500 m airstrip and is serviced by a vehicular barge that runs from Amity Point on North Stradbroke Island. There is also a private resort located on the Island at Tangalooma, originally established as a whaling station now famous for its wild dolphin feeding and marine education and conservation centre. A regular passenger ferry and vehicular barge service lands at Tangalooma Wrecks. The Island is made up entirely of sand with all vehicle access being along the beaches and the few sandy tracks across the Island and around the villages. A 4WD on Moreton is essential as there are no sealed roads, but you do not have to have one to enjoy a holiday here. Visit Cape Moreton, at the north eastern tip of the island, the only rock outcrop on the island, visit the lighthouse built in 1857. Whales can be seen migrating past Moreton Island from June to November. North Point which has "The Champagne Pools" a natural foamy ocean pool hollowed out amongst the rocks and Honeymoon Bay. Blue Lagoon a natural fresh water lake infused with tea tree oils, see The Tangalooma and Bulwer Wrecks, deliberately sunken ship sitting just off the beach. The Grave sites still standing after over 100 years from people passing through the bay. See Dolphins, Turtles, Dugongs, the sheltered bay waters are home to various marine. Indigenous cultural heritage includes shell middens that are evidence of thousands of years of Aboriginal occupation. 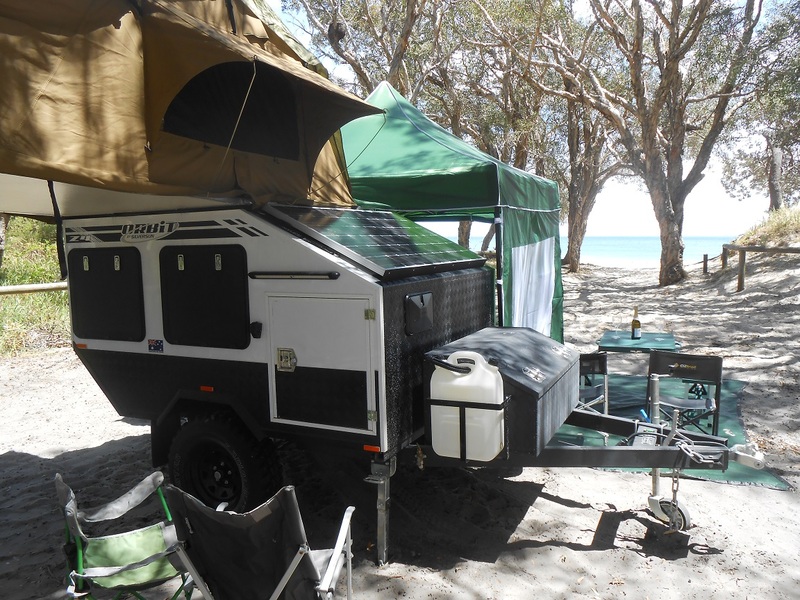 4WD down the Surfside, a long 40km stretch of white sandy beach, pass trough the thick bush of the Moreton Island National Park. Go fishing, surfing or swimming in fresh and saltwater. Dive or snorkel the Curtin Artificial Reef and the Tangalooma Wrecks, both man made with some of the best viewing of marine life. Most diving is done on the north side of Moreton Island where you can find Flinders Reef, the only true coral reef near Brisbane. The crystal clear waters at Moreton Island offer fine conditions for scuba divers and snorkellers. Its natural scenery with high sand dunes, lakes, small creeks and a coastline of endless white sandy beaches is simply amazing. Beach sports, campfires, star gazing, bushwalking, beach combing and sand boarding down some of the world's highest coastal sandhills are all popular activities. Walk up Mount Tempest, which at 285m is the highest coastal sandhill in the world. Moreton Island has many walking and hiking trails such as Rous Track, the Desert-Tangalooma scenic walk and the Big Sandhills and Little Sandhills, all with excellent bird and wildlife spotting chances.